Posted byAtulHost	 2nd Dec, 2018 18th Jan, 2019 Leave a comment on Why Getting an Estate Loan Could Be the Best Thing for Your Startup? If you are a budding entrepreneur with plans for a startup, chances are, you have gone through the basic 12-step guide to starting a business. It is also possible to hit a roadblock on finances. Most guides will tell you to turn to crowdfunding but your success in that depends on how well you can promote and market your startup idea. However, if you have recently been the recipient of an inheritance, I can tell you a quicker way to fund your business idea out of your pocket, now. Once the benefactor has passed away, legal processes and settling of bills and estate can take anywhere from six months if all goes smoothly, to several years if complications arise. As a result, it is not unusual for most beneficiaries to get impatient while the process drags on, especially if they need the inheritance immediately for investments such as for a down payment on a house or as business capital. In such cases, the slow-going legal processes might serve as a check to your progress timeline. However, there is a way to gain access to your inheritance funding sooner – an estate loan. Also known as an inheritance loan, a probate loan or a trust loan, an estate loan is a borrowing of money with real estate as collateral from an estate that is still going through the process of probate. In simpler words, it allows a beneficiary to borrow liquid cash against the inheritance they will be receiving, most often real estate. Estate loans usually have no personal liability since the agreement is signed by the estate representative, while the estate itself is the property of the deceased. Hence, it allows the borrower a security while also providing them with a part of their inheritance that can be used or invested immediately. It provides you with some part of your currently illiquid inheritance for immediate use, sometimes even as little as three days, without affecting other beneficiaries’ shares of the inheritance. It can help in dealing with urgent financial obligations such as medical bills, mortgage payments, and business investments. An inheritance loan enables you to hold on to ownership of a physical property while paying off other beneficiaries their share in liquid cash. Estate loans can also help pay off any remaining financial obligations of the estate, including burial costs or any legal fees. Before You Get an Estate Loan? If you are considering obtaining an estate loan, the first thing you must do is research your options. Is getting a probate loan worth it? What are the tax consequences of acquiring one? You will have to discuss these as well as interest fees with the estate representative or a lawyer in order to ensure you know what you are getting into. You must also research and talk to the lawyer about different estate loan providers since traditional lenders, such as credit unions or banks do not provide inheritance loans. After choosing a lender, you will have to talk to them and ask for information about the standard terms and interest fees to ensure that you are choosing a lender that will charge you the lowest interest fees. You will also have to gather and collect the necessary documentation; this includes copies of the will and the official death certificate as well as any letters of administration provided by the probate court. In addition to these documents, you will also require a certificate for the estate loan from the estate representative and your identification forms. How to Get an Estate Loan? Obtain professional legal advice from your lawyer. Obtain financial advice from a finance specialist. Ensure that your inheritance meets the general eligibility requirements of providers. Inform the estate representative of your decision. Put together the required documentation. 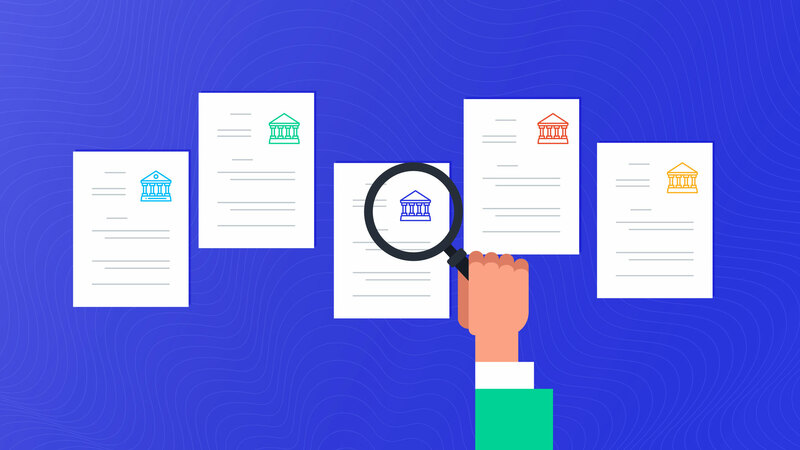 Compare different estate loan providers, their interest fees and requirements. Select a provider and complete the application for estate loan. Sign the documents and receive the loan. Once you have decided to obtain an estate loan in order to put together sufficient capital for your business startup, there are some issues you must be aware of. Estate loans can end up being more expensive as compared to loans borrowed with other assets as collateral. In order to be eligible for an estate or probate loan, your inheritance must be $15,000 in worth or more. I strongly recommend seeking out professional legal and financial advice to gain a complete understanding of what an estate loan is and what it will mean for you and your startup business. Another issue that can halt you obtaining an inheritance loan is a bad credit history. Most providers will reject your application for an estate loan on the basis of your bad credit score. In such a situation, it is easier and preferable for you to apply for a personal loan instead. However, you can also apply for an estate loan in another country where the process of application is easier regardless of your bad credit history, such as in Sweden. If you find that an inheritance loan is not the best option for you, do not worry. Besides personal loans, another alternative is a different form of inheritance funding – inheritance advances. Also known as probate advances, they are different from estate loans in the sense that they do not consist of borrowing money from a lender while using your share of inheritance as collateral. Rather, a probate advance allows you to take out some amount of money as liquid cash from your own inheritance share with the help of a company. There are also no interests, loan fees or payment fees involved. Instead, the whole process is quite uncomplicated, with the company that allows you to obtain the probate amount simply staking a claim on a part of your inheritance that will go straight to them once the probate process is complete. The rest of your inheritance will remain yours to invest and spend as you see fit. There are lesser risks involved for both the beneficiary and the inheritance advance providing company in this case. However, in order to be eligible for an inheritance advance, you must meet certain criteria. These include your name in the will, your inheritance advance amount between $5000 and $100,000, and that the estate is already in the process of probate once you apply for the advance. However, as with estate loans, you must research and look for the best offer available from your inheritance advance providing company as well as ensure that you do not have to pay any additional fee. I strongly advise discussing your options with your lawyer or attorney as well as your estate representative before deciding on any one type of inheritance funding.